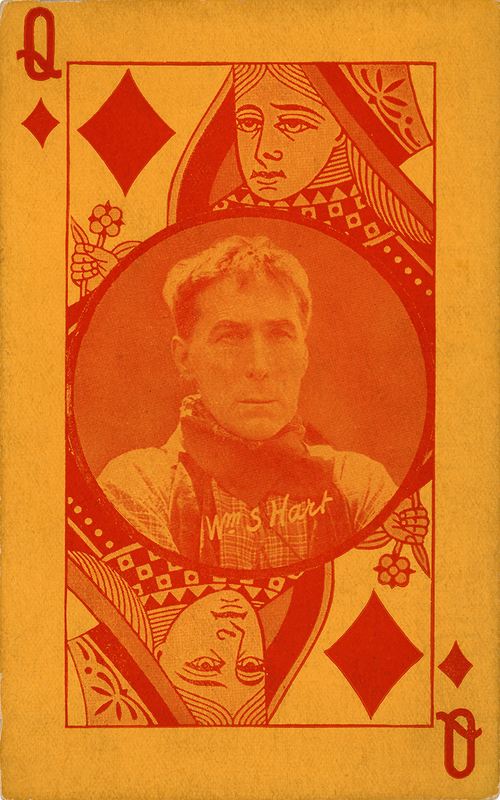 SCVHistory.com LW3277 | Film-Arts | William S. Hart, Queen of Diamonds. Arcade Cards (2 Varieties), 1920s. 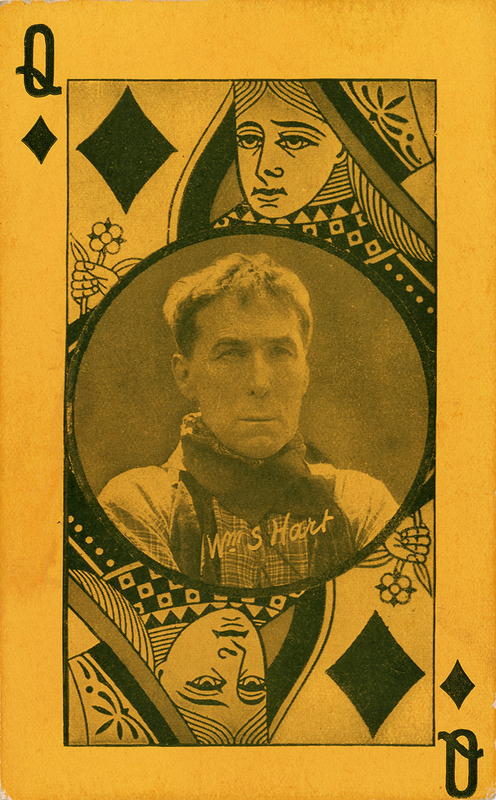 Newhall resident William S. Hart doesn't look particularly enthused about being selected for the queen of diamonds in this movie-star arcade card series from the 1920s. Then again, neither does the queen. One version is printed in black ink (above), another in red (below). The back of each (bottom) is the same. 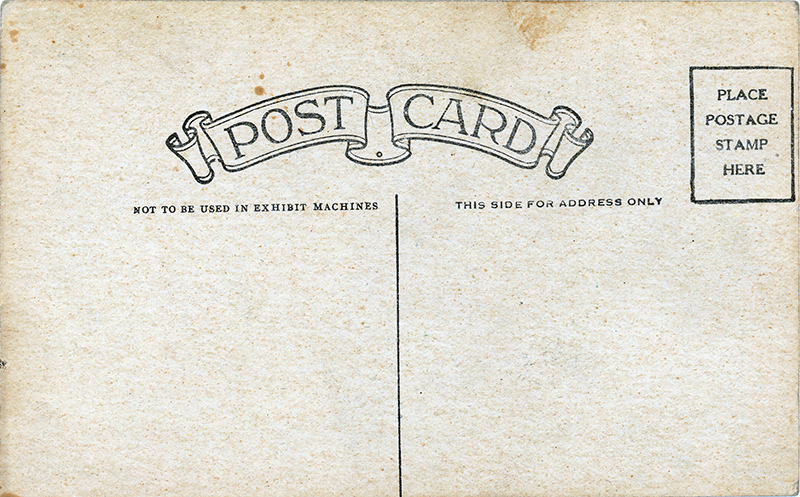 Printed halftone on front, divided postcard on back, unusued. The publisher isn't identified, but it's probably a rival to Exhibit Supply Co. of Chicago, the biggest publisher of arcade cards, which sold them in movie theaters in Exhibit Supply's own vending machines. The back of this card reads, "Not To Be Used in Exhibit Machines." Many series of souvenir arcade cards (and tobacco cards, etc.) featuring movie stars, athletes and others used a playing-card motif, presumably as a sales tactic. If you didn't have 52, you knew you didn't have a complete set. LW3277: 9600 dpi jpeg from original arcade card purchased 2018 by Leon Worden.